As part of an effort to support sustainable design initiatives locally, ARQ architects participates in the American Institute of Architects (AIA) Committee on the Environment (COTE) Baltimore Chapter. The posters below advertise some of the many programs the AIA Cote Baltimore has put on over the last three years. All poster designs by ARQ office in Baltimore. 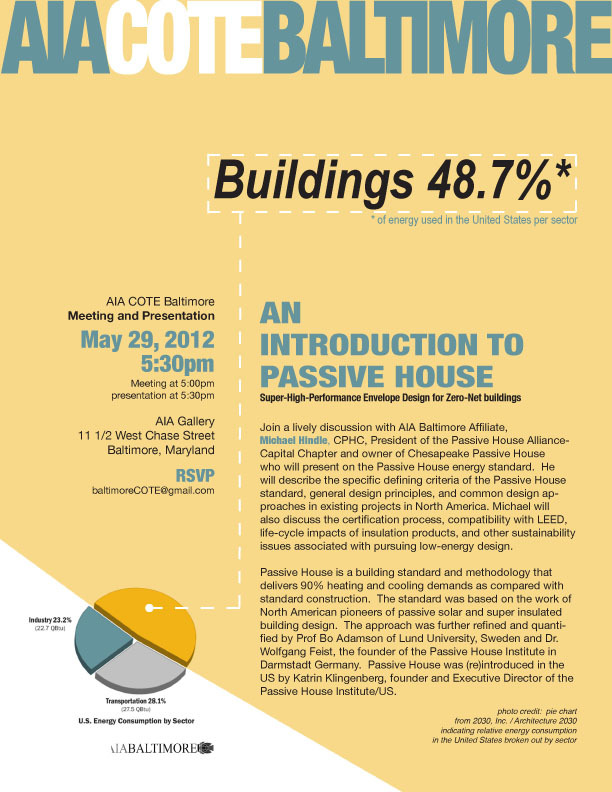 Click on the following links for more information on AIA Baltimore and AIA COTE.